Babies are cute. In fact, babies are completely and utterly adorable. Nonetheless, as parents we seem to spend an awful lot of time, effort, and money trying to make them look even more adorable and gorgeous than they already are. 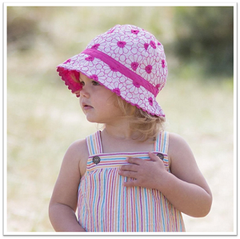 Cute bobble hats, brightly coloured organic baby clothing, snazzy socks and dribble bibs – you name it, we buy it! Baby accessories are fun, great for jazzing up an outfit and brilliant to buy as gifts for new babies. So many well-meaning people buy newborn size baby clothes as gifts when a friend has a new baby. Hardly anyone ever seems to buy those useful hats the baby needs to wear every day. Or a bamboo swaddle blanket or even bibs for when they’re teething and dribbling everywhere! As you’ve probably found, there’s a lot of tat out there though. On the other hand sites like Tilly and Jasper and others sell great, high-quality products and baby accessories. Looking for socks for your baby? A fancy headband for your gorgeous baby girl? Well, endless options are there if you want them. And to be honest, we’re all so busy, buying online is undoubtedly the easiest and usually the best. The less effort the better frankly! Some sites offer free delivery and others take discount codes. It’s always worth having a google around as we all like to save money. Tilly and Jasper is a one-stop shop for baby accessories. One of the best things about buying baby products from Tilly and Jasper is that they are pretty unique. So going out for a walk with your little one, you’re unlikely to bump into another baby wearing the same baby clothes! Win! Win!